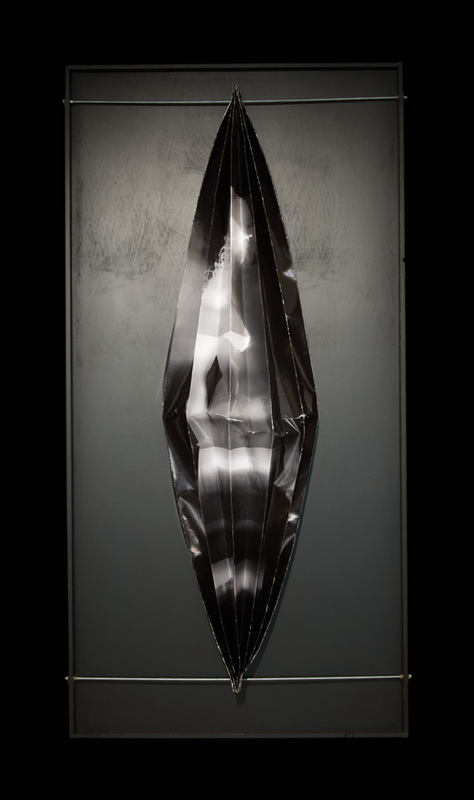 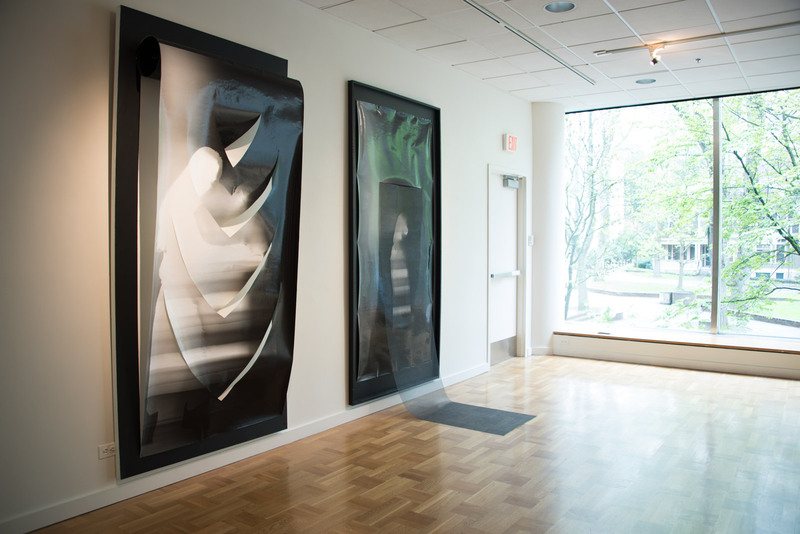 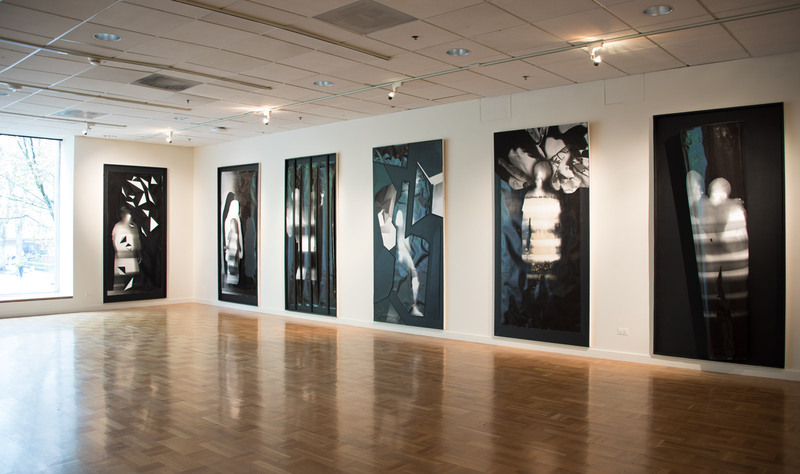 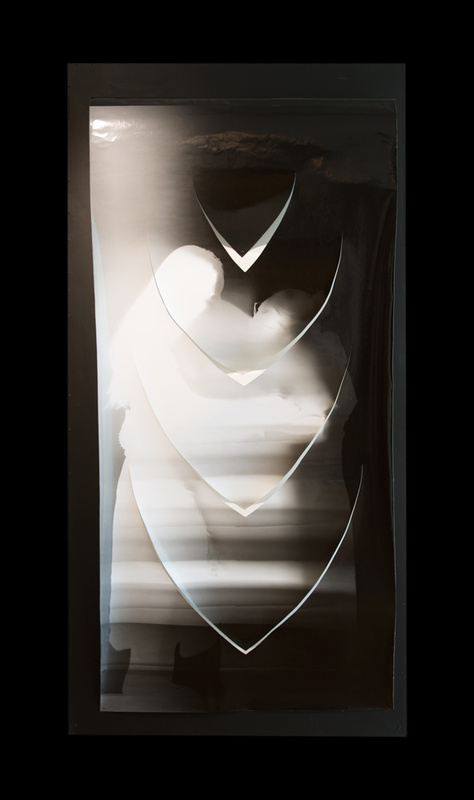 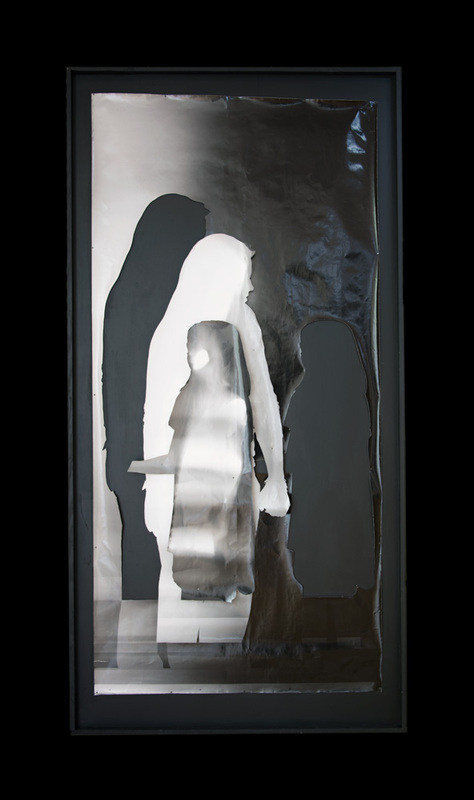 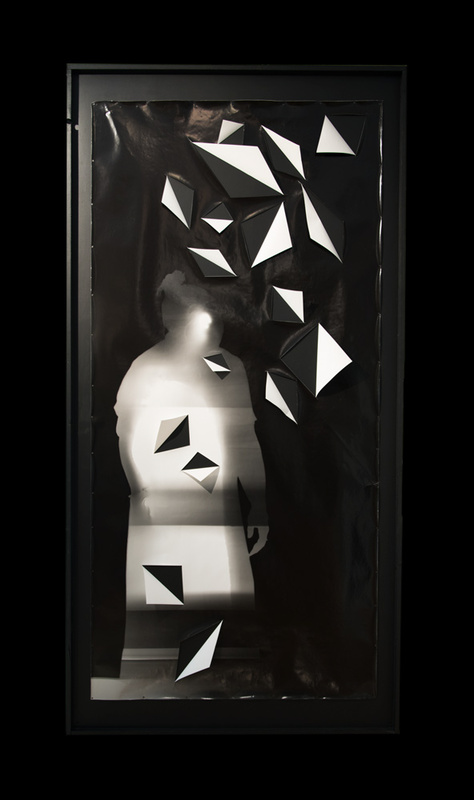 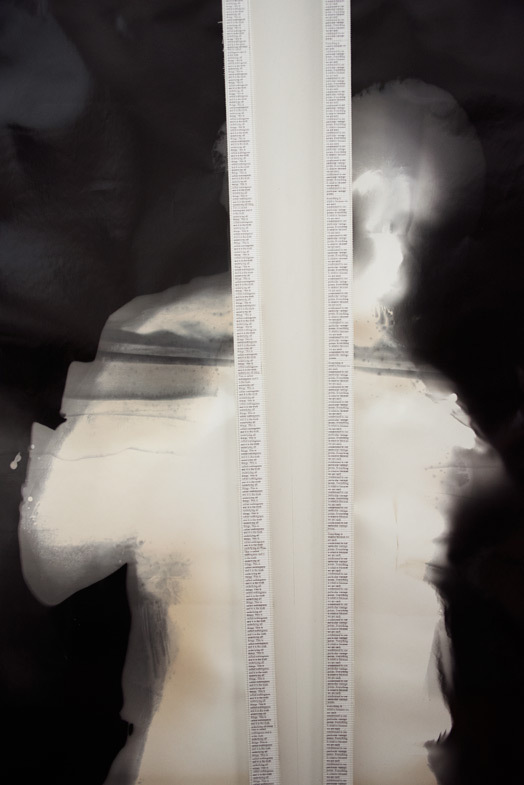 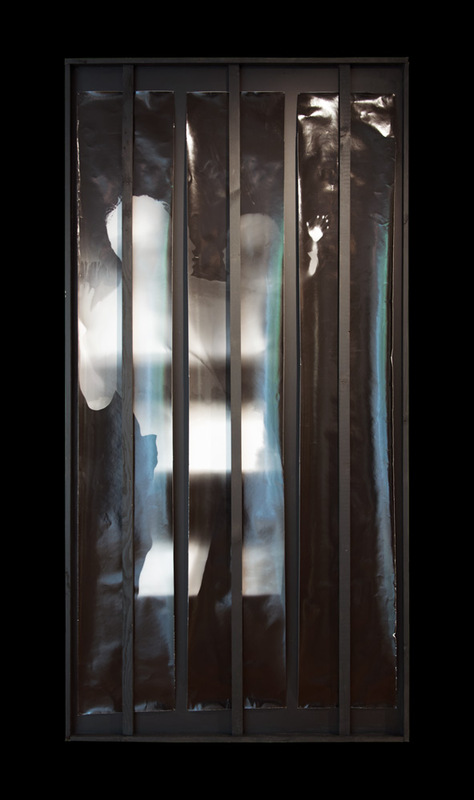 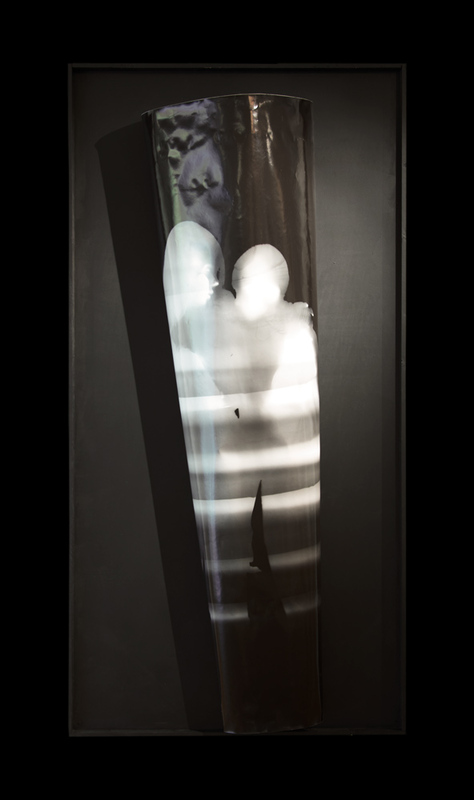 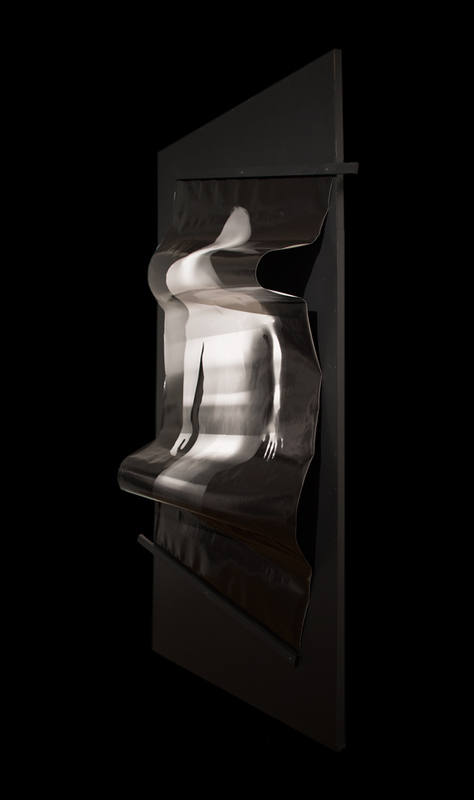 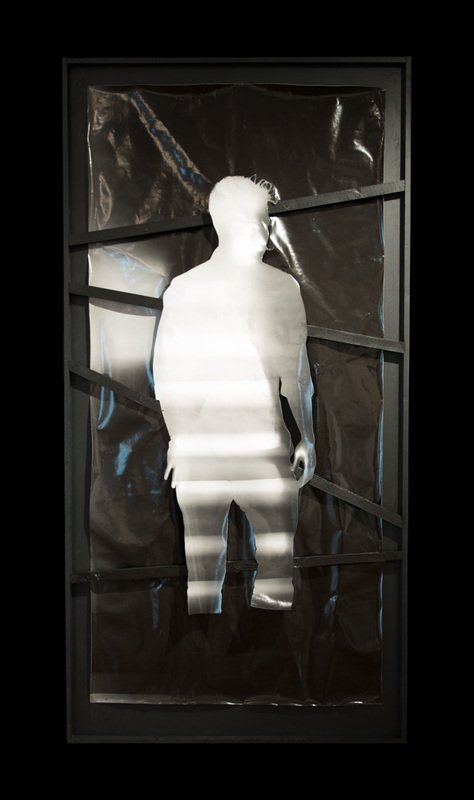 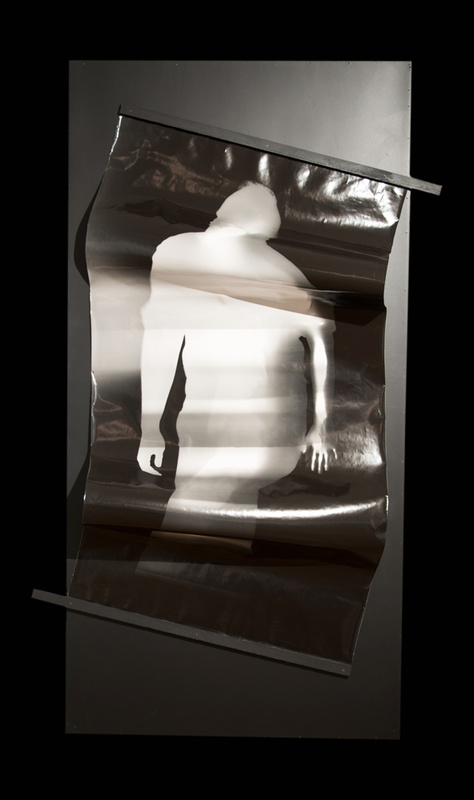 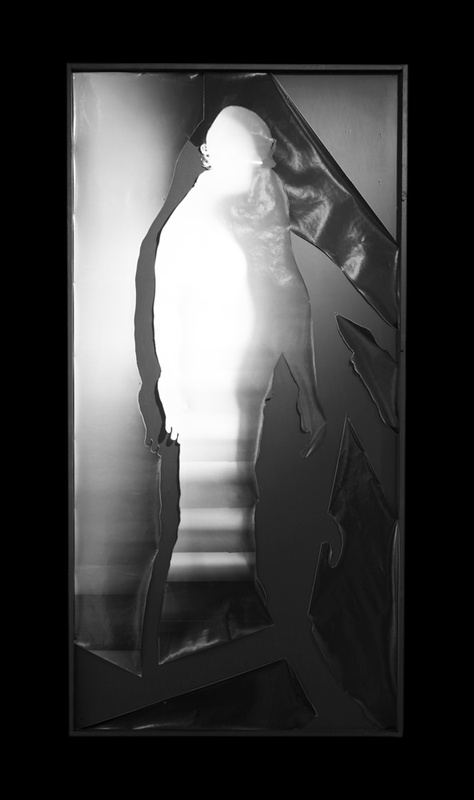 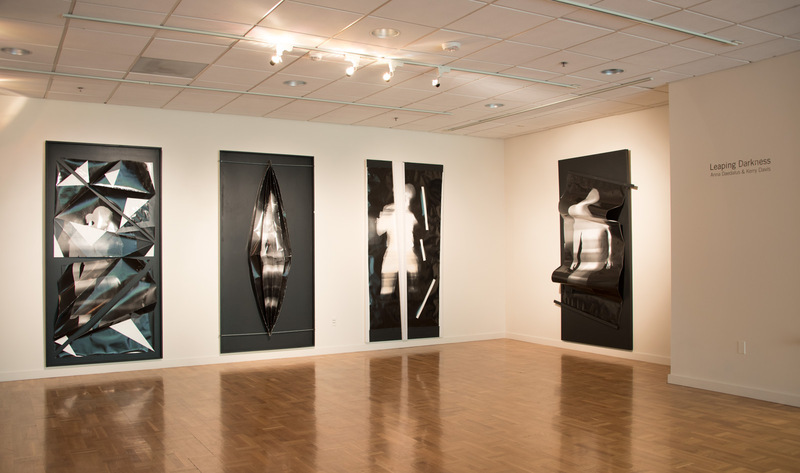 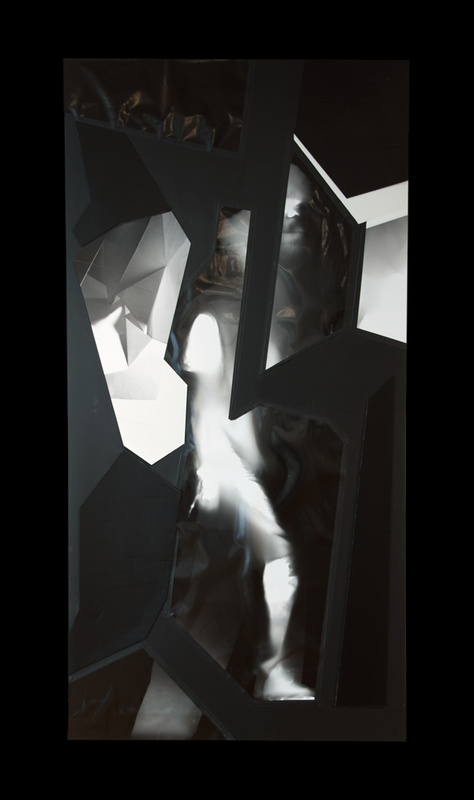 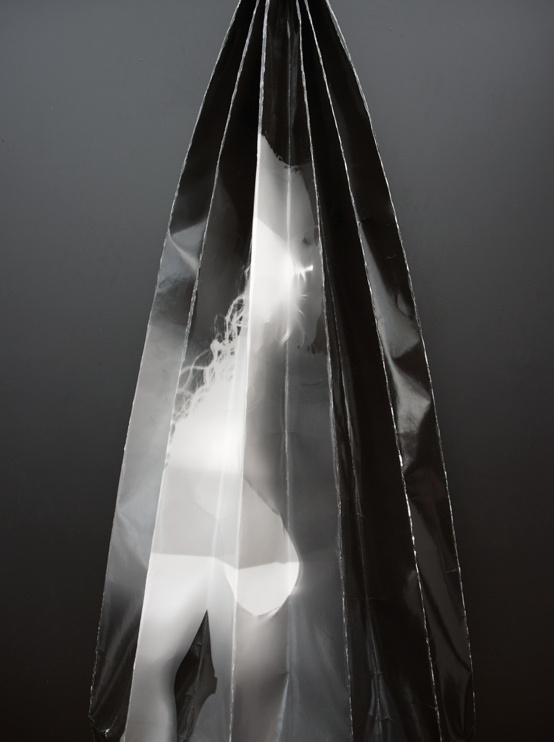 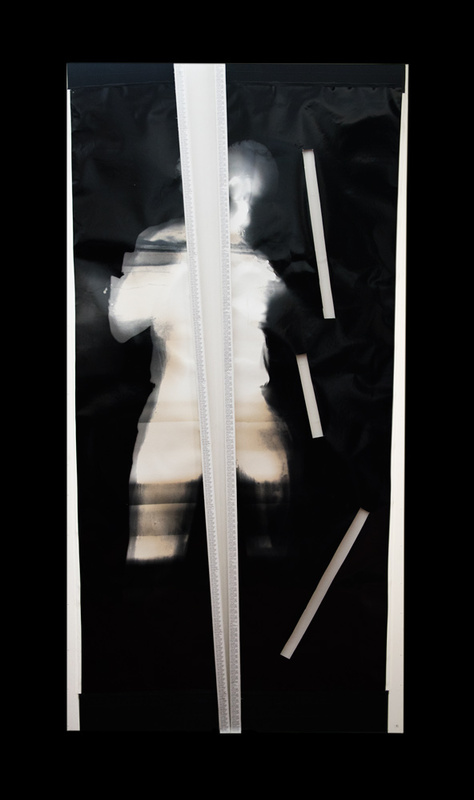 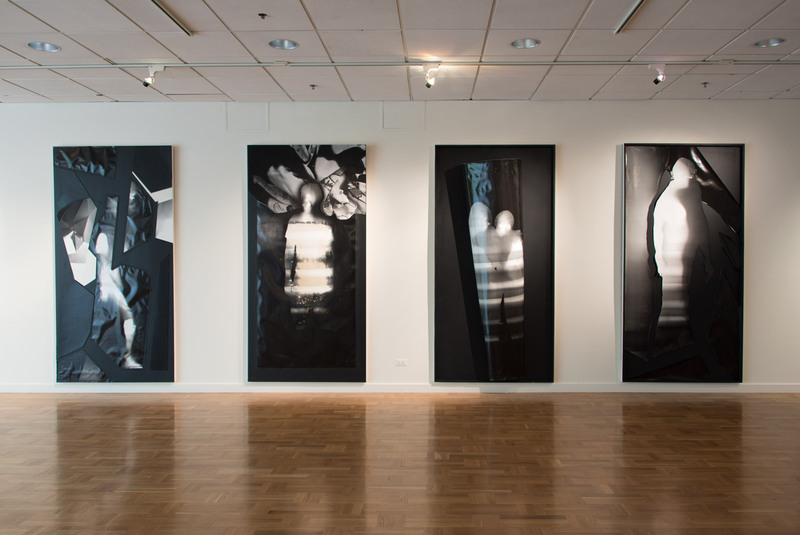 Through folding, cutting and variously altering life-size photograms of human figures, these constructions introduce cinematic movement, three-dimensionality and abstract elements into two-dimensional still images. 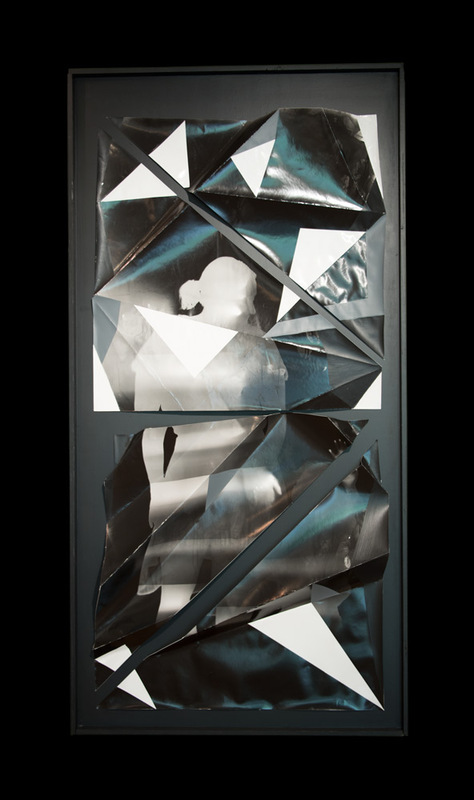 Each piece acts as a fractured film frame that flickers and jumps to the next, while a persistence of vision recomposes them into a whole. 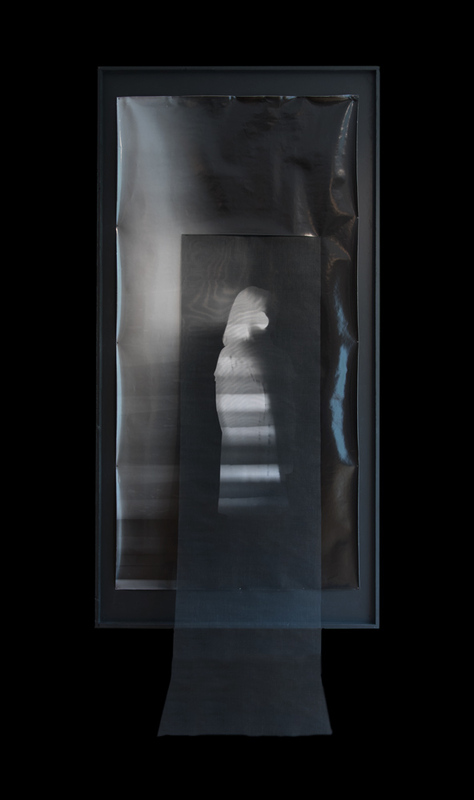 This host of camera-less photographic sculptures solemnly processes along the gallery walls, simultaneously emerging from and sinking back into the darkness, which itself seems to be alive.